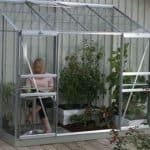 This 10 x 8 Waltons extra tall polycarbonate greenhouse is a very useful and very effective greenhouse. 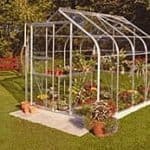 It brings in plenty of solid warmth and light for the plants, and also has some excellent timber included in the build, all of which has been dip treated at the factory for extra protection against damp. 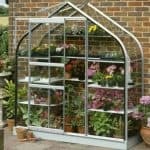 The 4 mm twin wall polycarbonate glazing is unique in that it is completely 100% shatterproof. 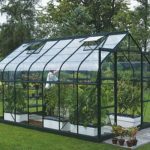 This glazing is therefore much safer and much more durable than conventional greenhouse glass. 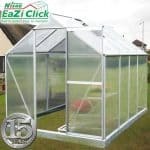 You also benefit from the option of having free next day delivery for the building. Panels haven’t lasted as long as I thought they would. Instructions not that easy to understand. Had it about 2-3 years now. Wind blown some panels out. 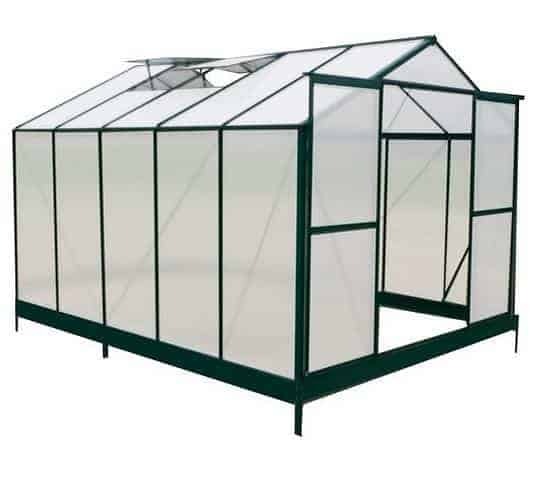 Not easy to find right size to replace. Still looking into where to get them from at a reasonable price.